"I have been using the free YouTube MP3 Converter from youtube-mp3.org in the past. However, when I try to convert a YouTube link, it keeps saying 'There is some Maintenance going on. Please try again within the nest hour.' This maintenance message has been on for a long time. Does anyone knows how to solve this YouTube to MP3 not working problem? " People use different tools to download YouTube music video to MP3, but that doesn't necessarily mean that they won't buy the music. YouTube to MP3 converter of youtube-mp3.org has been providing us the free access to download YouTube to MP3 audio but recently it has been shut down due to the legitimacy of its service. How to Fix the Issue of "YouTube MP3 Not Working"
Online YouTube MP3 download site won't always reliable, not only youtube-mp3.org, sites like keepvid.com, clipconverter.cc, etc. are also not working every now and then. It's time to move to a much safer and more stable desktop YouTube to MP3 downloader software. Here we recommend 5KPlayer for its exceptional YouTube to MP3 download feature. Free Download and Convert YouTube to MP3 AAC. Download MP3 audio from over 300 online video music sites. Choose video format (MP4, WMV, etc.) or res (720P, 1080P, 4K) before download. YouTube to MP3 Converter refers to a tool that could rip MP3 audio from YouTube video and save the MP3 file on your computer, including online YouTube video download sites, browser add-ons and YouTube MP3 downloader software. But here in this article, YouTube to MP3 converter is the tool from youtube-mp3.org, it is this YouTube to MP3 converter currently not available to download YouTube MP3 anymore. What happened to YouTube to MP3 Converter, Why is it under maintenance? There are various reasons in the past that the site youtube-mp3.org was under maintenance but this time in 2016 it is because music labels are suing this YouTube ripping site over piracy. And Google in the meantime has just blocked all its servers from accessing YouTube. So the "maintenance notice" is a way to say that this YouTube to MP3 converter is currently not working. You can help YouTube-MP3 if you really like its service. How to solve YouTube to MP3 not working? There is not only one way to download YouTube to MP3. If you want to find a link alternative to youtube-mp3.org, you can check the top 10 online video download sites to download YouTube in MP3 with no third-party software installed. However, if you are looking for a safer way or a more stable and powerful YouTube audio downloader, 5KPlayer just fits the bill. 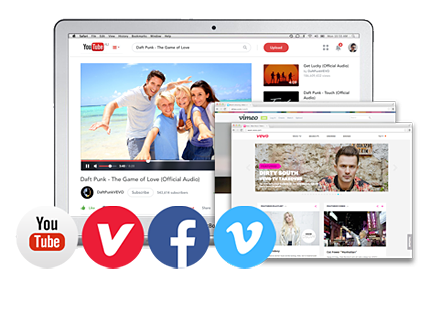 Better than YouTube-MP3 downloads, 5KPlayer ripps MP3 audio file with souped-up speed from 300+ online video music sites including YouTube, Vemeo, Facebook, Audiomack, Soundcloud plus any other sites which embedded with YouTube videos. This standalone YouTube audio downloader downloads YouTube to MP3 320kbps on Mac and PC, no need add-on or browser extension, 5KPlayer can solve this issue of YouTube to MP3 not working once and for all. Step 1: Download this free YouTube MP3 downloader on your PC or Mac. Run 5KPlayer > Click "YouTube" on the main interface > Copy the target YouTube video URL > Paste the URL on the address frame of 5KPlayer download window > Click "Download" button. Step 3: Convert YouTube to MP3 free. Find the video you just downloaded > Click the file button and Choose "Convert to MP3" from the apeared menu. YouTube just got down only showing you '500 Internal Server Error' message? This guide will help you fix YouTube error 500. Free download this best YouTube video and audio downloader to download and convert YouTube to MP4 MP3.